Be the first to hear about their new releases and deals. Download the Booksprout app and search for Krista Sandor today! 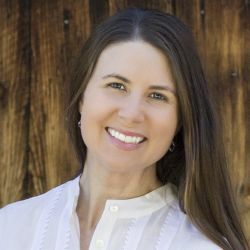 Krista Sandor is the author of the Langley Park series which readers have dubbed “heart-tugging” and containing “palpable love and pain.” If there’s one thing Krista knows for sure, it’s that romance saved her. After she was diagnosed with Multiple Sclerosis in 2015, her world turned upside down. During those difficult first days, her dear friend sent her a romance novel. That kind gesture provided the escape she needed and ignited her love of the genre. Inspired by the strong heroines and happily ever afters, Krista decided to write her own romance series. Today, she is an MS Warrior and living life to the fullest. When she’s not writing, you can find her running 5Ks and chasing after her growing boys in her adopted home of Denver, Colorado.